Claude Giroux definitely got the message when it came to what was in store for him and the Philadelphia Flyers on Wednesday evening. Hours before he scored the overtime winner that gave the Flyers a much-needed win in Game 3 of their Stanley Cup final set against the Chicago Blackhawks, Giroux received a text from a friend, a prediction that proved to be a perfect assessment of what was to come. “I was taking a nap, and my buddy texted me,” recalled the forward, in the aftermath of Philadelphia's 4-3 victory, putting the series at 2-1 in favour of the ‘Hawks. “He doesn't usually text me a lot. He said I have a feeling you're going to score the overtime winner tonight. I texted back and said, ‘You're crazy.' I'm going to call him now. 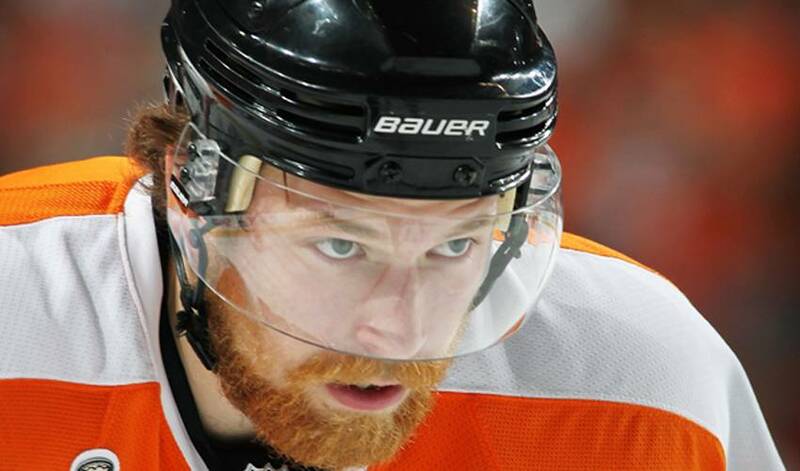 Chicago will no doubt focus and be ready for Giroux when the teams take to the ice for their pivotal next contest. Stopping the emerging star, however, might not prove to be such a simple task. After he assembled a strong 2009-10 regular season, especially down the stretch, Giroux, the 22nd overall selection of the Flyers in 2006, carried his momentum into the playoffs. An admitted lackluster performance by Giroux and his linemates in Game 2 didn't sit well with the trio, a group that was eager to come up with a better collective effort on home ice. Giroux, who started his career by signing with the Quebec Major Junior Hockey League's (QMJHL) Gatineau Olympiques as a free agent after playing in the Central Jr. A League, scored 39 goals for a total of 103 points in just 69 games in his QMJHL rookie campaign. He made his NHL debut in a road game against the Ottawa Senators on February 19, 2008, when he was called up for a total of two games for the injury-riddled Flyers. Giroux helped Gatineau win the QMJHL Playoffs and earned himself the Guy Lafleur Trophy as MVP in the post-season by scoring 17 goals and adding 34 assists in 19 playoff games, also setting a franchise record. Now, the native of Hearst, Ontario, who won gold with Team Canada at the 2008 World Junior Championships, has his sights set on adding a Stanley Cup to his list of accomplishments. If that is indeed true, Giroux must be having the time of his life these days. It's a train of thought that could see Giroux and the Flyers land hockey's ultimate team prize at the end of the line. Ahead of the NHL Awards on Tuesday night in Las Vegas, Ryan Getzlaf and Claude Giroux discuss being nominated by their fellow players to receive the Ted Lindsay Award. Crosby, Getzlaf & Giroux voted by fellow NHLPA members as finalists for the “Most Outstanding Player” award.